Give blood May 6 and 7 at Kentucky Blood Center in Lexington and get a FREE Kings Island ticket. We have done this the last two years. 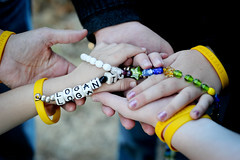 Last year I gave blood and about 10 days later my sweet boy Logan needed blood a few times. Cancer kids use a lot of blood products. If you are not in Lexington check with your blood bank to see if they have a theme park promotion too. Friday, May 6 to Sunday, May 15 Frappuccino at Starbucks for 1/2 price from 3-5pm. Add Cellfire to your Kroger card and your coupons will already be on your card. No clipping needed. All you do is go online and load the coupons you want. Also, Cellfire often has deals were you can load $0.50 to $5.00 off any purchase. The offers below are available at Kroger and Kroger subsidiaries, Safeway subsidiaries, Shop 'n Save, Lowe's Foods, and Foodtown. Save $0.50 when you buy TWO packages of Pillsbury® Rolled Refrigerated Pie Crusts. Telefora - Send flowers now and get 20% off with Teleflora. Fresh flowers and daily delivery. 6 BOOKS FOR 1¢ plus a FREE BOOK with membership! 6 BOOKS FOR $1 plus a FREE GIFT with membership!